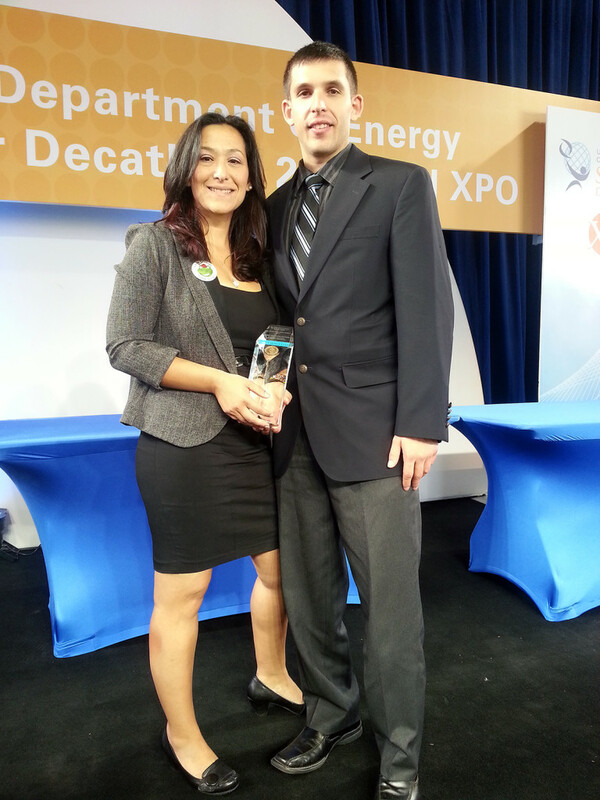 Energy Efficiency Solutions (EES) of Windsor, Connecticut wins two National Department of Energy Awards! Irvine, California – The Housing Innovation Award competition offered rigorous application criteria with four award categories: Customer Relations, Energy Savings, Market Leadership, & Sales and Marketing. To engage with Home Performance with ENERGY STAR, participating contractors take part in rigorous training, apply the whole-house approach, adhere to program requirements, and continuously improve their workmanship through quality assurance measures. The Housing Innovation Award for Home Performance with ENERGY STAR (HPwES) is presented as a National Award to four participating contractors who have demonstrated innovative business practices that mark them as leaders among their peers. The award winning contractors take measured risks and unique approaches to realize success in their local HPwES markets. They exhibit outstanding professionalism, build strong customer relationships and apply building science solutions to improve homes. The Housing Innovation Award ceremony took place at the 2013 Solar Decathlon in Irvine, California. 2013 is the inaugural year for the award. Energy Efficiencies Solutions (EES) was awarded a 2013 Housing Innovation Award for its achievements in Customer Relations and Market Leadership. Homeowners who participate in Home Performance with ENERGY STAR often find out during the initial energy assessment that their homes are leaky, lack proper levels of insulation, and their heating and cooling equipment is outdated and inefficient. “These problems are easily addressed. We can save homeowners thousands of dollars a year simply by insulating and air-sealing properly or replacing outdated poor functioning equipment,” says Colon de Mejias. Education is a defining characteristic of Energy Efficiencies Solutions’ business model and aims to educate families about conserving energy and reducing waste. EES’s simple approach to helping homeowners understand how the different systems in their homes work together is a valuable offering for CT home owners. “Home Performance with ENERGY STAR provides a unique platform by defining a process for translating complicated building-science principles into solutions for homeowners seeking to improve the energy efficiency, comfort, health, and durability of their homes,” remarks Colon de Mejias. Energy Efficiencies Solutions is active in its local community and schools, as well as developing the local workforce with training opportunities and mentoring programs. Colon de Mejias has authored two children’s books, Dinero Learns to Save Energy and Pesky Plastic. Much like how Home Performance with ENERGY STAR recognizes the interdependence of systems in a home, Energy Efficiencies Solutions sees the interconnections of its community members and the benefits of promoting energy efficiency in unique and effective ways. “We are vested in learning all that we can about the environmental impacts humans have on the earth and utilizing scientific data to increase conservation of our planet’s resources, increase general awareness and spark action in order to positively impact the world around us,” says Colon de Mejias. Saving the planet begins at home with helping homeowners understand how their homes use energy and offering solutions for improving energy efficiency.